Searching for a full service accounting firm in Toronto? Search no longer. 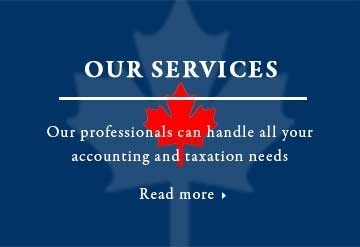 Our accountants at Can-Am CPA PC can handle all your accounting and taxation needs. Thoughtful strategies, open and friendly environment, and knowledgeable. Can-Am professionals offer superior quality accounting services that customers have appreciated for many years. 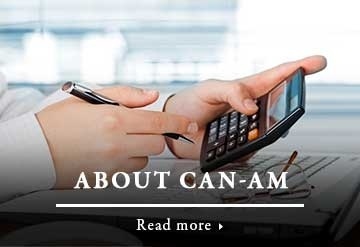 Established in 1975, Can-Am is an independently owned and operated full service accounting and taxation firm, located in Toronto, aimed at helping small businesses and individuals navigate through the complex rules, law, and policies of the Canadian taxation system. Through an open and friendly environment, Can-Am accounting professionals offer superior quality services that customers have appreciated for many years. Our accountants can handle all your accounting and taxation needs. Our accountants offer professional accounting, taxation services which include, but are not limited to: full corporate accounting, taxation, bookkeeping and management consulting. At Can-Am our goal is simple: To help create an effective tax strategy for each and every one of our clients according to their individual needs, wants, and future desires. 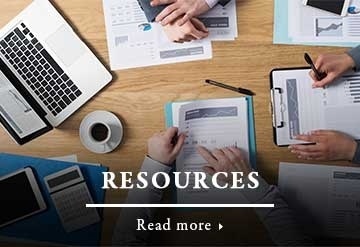 Accountants at Can-Am provide our accounting and taxation services across Toronto, Pickering, Ajax, Mississauga, Brampton, Vaughan, Woodridge and the surrounding areas. Can-Am CPA Professional Corporation is an independently owned and operated full service accounting and taxation firm, located in Toronto. Can-Am is a full year firm that has been serving from the same location since 1975. Can-Am provide excellent service to my family and I when we file our taxes. Everyone is welcoming and very understanding of individual situations, providing me with the assistance needed to file my taxes. They are informative and polite. I first went to Can-An back into 2014, and haven’t gone anywhere else since. Overall, a great place to go to for income tax and finances. Need your taxes done? Well - Look no further. Vijay and his team are amazing. I have been doing my yearly tax return with him for the last 3 years. I am extremely happy about their service. They have a great staff with superb customer service and professionalism. They are very flexible and accessible during tax season. I highly recommend them. I have been going to Can-Am for about 4 years now and can honestly say I don't know how I was doing my taxes before them! They're accommodating, patient, and super kind. Thanks especially to Vijay for all of his services. I genuinely recommend them to anyone who's looking for accounting services. And a new business owner, having just completed my doctoral training, Vijay made filing seamless. He was incredibly knowledgeable and acted as a source of clear information (which was important given the variety of tuition, employment and self-employment ventures I had taken on over the years). I would highly recommend Can-Am for filing your taxes! I have been a client with Can-Am for over 10 years and have had an excellent experience working with Vijay and his associates. They are thorough, knowledgeable, experienced, honest and have helped me navigate through some challenging times. I would highly recommend them to anyone looking for tax and accounting services.